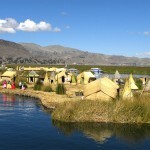 Lake Titicaca in Southern Peru is the world’s highest navigable lake and South America largest lake, and home to the Uros and their totora reed-made floating islands. 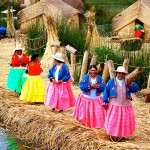 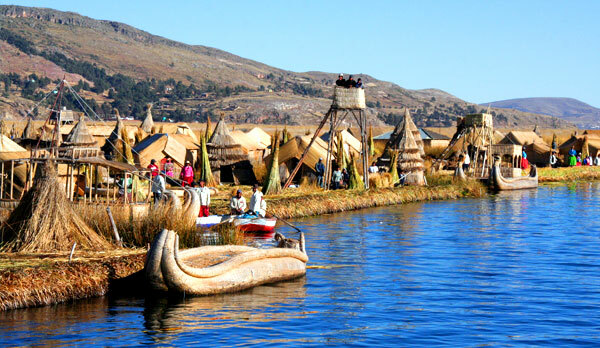 According to ancient Aymara legends, the Uros, an ethnical group that pre-dates the Inca civilization, existed before the sun, when the earth was still dark and cold and since then, they have been using the totora reed, which is plentiful along the edges of the lake, to make their homes, their furniture, their boats, and the islands they live on. 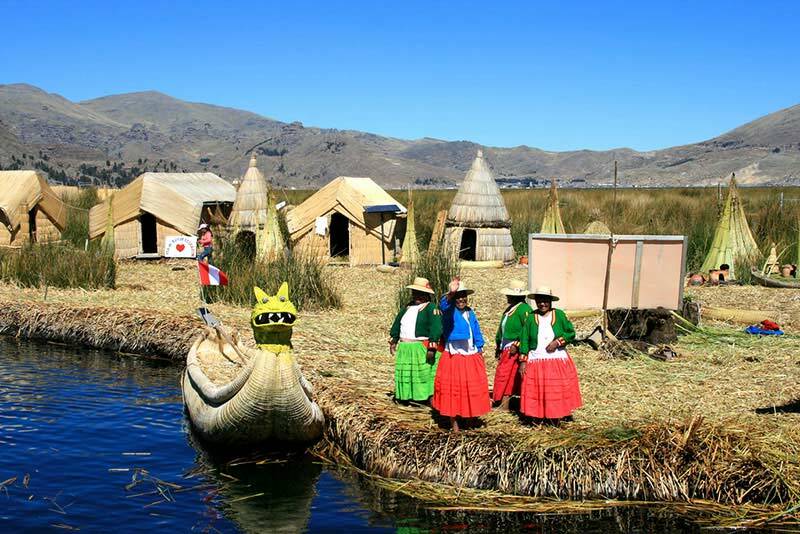 Their boats, which are shaped like canoes, but with animal heads at the prow, are used for fishing and to bring visitors out to the islands. 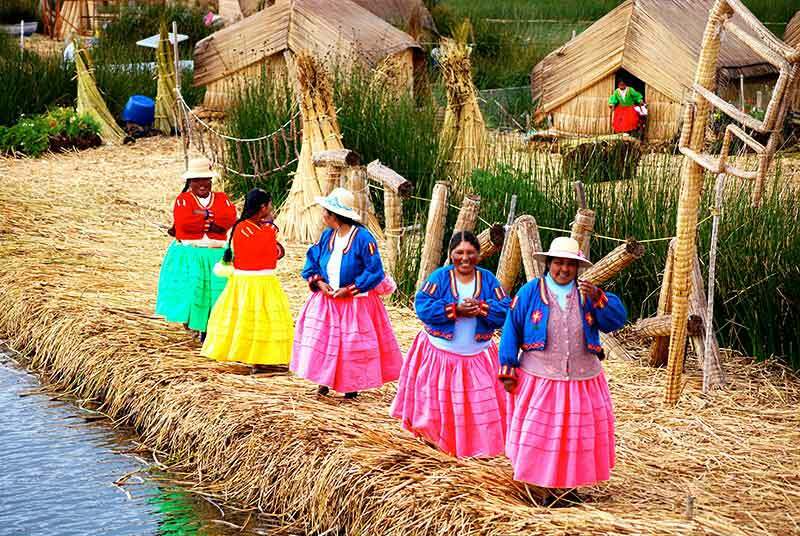 These islands have evolved somewhat in recent years, and now there is a hospital, a school, a hotel, and even electricity on some of the islands. 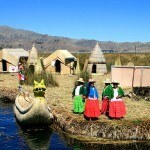 In the schools, maybe the only floating schools of the world, the children arrive every morning in their own rafts that they learn to knit from early age.The Uros’ community as well as their floating islands are part of the Titicaca National Reserve, created in 1978 to preserve 37 thousand hectares of marsh reeds in the south and north sectors of Lake Titicaca. 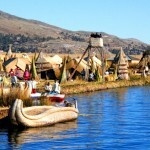 The reserve also protects over 60 species of native birds, four families of fish and 18 native amphibians species. 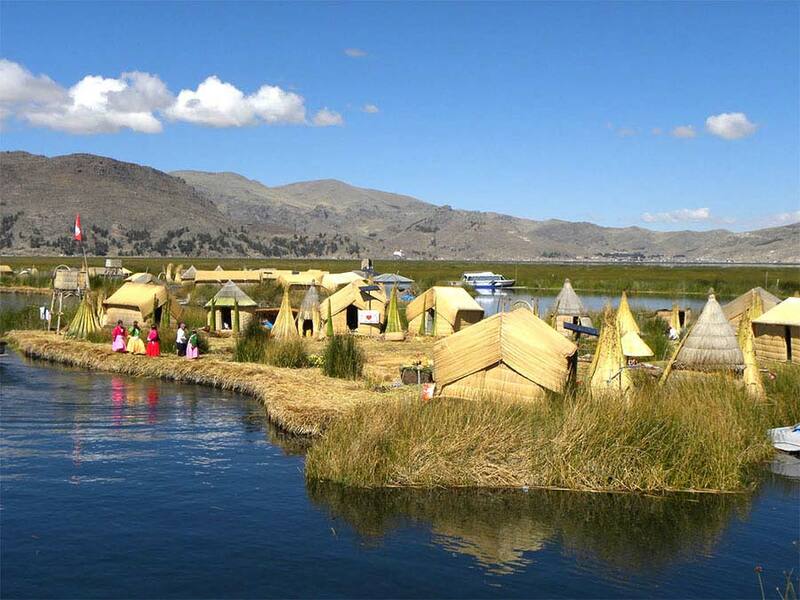 A sensibly planned and flawless executed Vacation Program to Peru, contributes to the Lake Titicaca Conservancy Projects to ensure a thriving future for the local communities.